Home » Tips for Students » Are schools doing enough to prepare students for work? Are schools doing enough to prepare students for the world of work? We don’t think so. In our experience, schools are great at getting students to University and are very good at traditional ‘careers advice’. 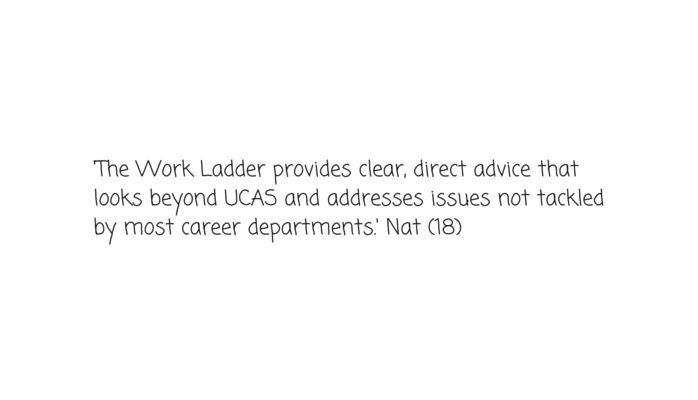 But in a changing work environment, we think careers advice needs to change too. Many students are not going to pursue ‘traditional’ careers; indeed, the concept of a linear career is outdated and most graduates will progress through a succession of (hopefully upward) moves, relying less on academic prowess and more on transferable employability skills. There is increasing evidence now that employability counts more than grades in graduate recruitment. Recent headline research (“Leading employers value work experience amongst graduates over grades”), together with changes to the recruitment policies of top graduate employers such as E & Y and PWC, show the real shift that’s taking place. When we talk to students and recent graduates, we find increasing frustration that schools didn’t teach them enough about what to expect when it came to getting a job. And it’s not just students that are frustrated – many parents are concerned that their offspring are not sufficiently well informed of what lies ahead. They want to see schools play a greater part in providing guidance on how to prepare for getting a job and when to start. Many students discover too late that they should have gained work experience before going to University, when they find coveted internships are given to those who have worked part time during school holidays and can demonstrate practical employability skills. Schools may argue that it is up to the Universities to take care of graduate employability and to some extent we would agree. However, unless students realise that they need to be heading down to the careers centre as soon as they arrive on campus (and why), they’re likely to miss out on important opportunities. Careers events with leading employers, first year internships and summer placements are all advertised early on in the academic year and missing the deadlines can be costly. As well as missing out on internship opportunities, students will have wasted valuable time in learning how to write a great CV, produce a winning online application and how to prepare for an interview- which means that when the deadlines come (all too quickly) for further work experience and internships, they have too much ground to make up and don’t do themselves justice. With such a concentrated focus on achieving top grades, we find many students have underestimated the importance of getting work experience. It may not earn UCAS points, but working in the local supermarket or factory (even if only for a few hours a week), provides a significant competitive advantage when it comes to later job applications. Schools have come a long way in opening their students’ eyes as to what sort of jobs are out there but many students still leave school with no idea what they want to do in the workplace. Many graduates leave University in the same boat. Our job is not to advise on which career path to follow but to motivate and support young people in their pursuit of transferable employability skills and work experience. we give students a road map on where/ how and when to start looking for work experience, internships and graduate schemes. we help them understand what employers want and why, so that they can see what they need to do to get relevant skills and experience, and when they need to get them. we show them how to make the most of their skills and experience when it comes to application forms, CVs and covering letters. and we walk them through the process of applying for internships and graduate schemes so that they can get their act together well in advance of being confronted by intimidating online applications, video interviews and assessment tests. So if you’re a teacher looking to give your students a competitive advantage before they get to University, contact us to find out about our workshops and Pre-Uni Bootcamp. If you’re a student looking to get a head start in the workplace, contact us to see how we can help you. If you are a concerned parent, we can help too – just drop us an email.